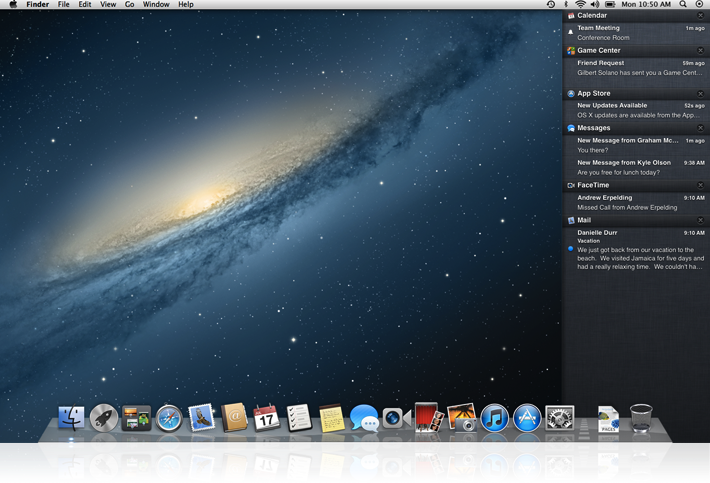 We’ve speculated and now we’ve gotten our hands on it, check out our review of Apple’s OS X Mountain Lion. Most speculation about Apple lately has centered on the iPad 3 and (a bit) on a possible iPhone 5 — but the Cupertino company surprised the industry today by unveiling a developer preview of Mac OS X 10.8 “Mountain Lion,” the next major release of its operating system for Macintosh computers. For now, the release is just a developer preview to get programmers up to speed with the new technologies; customers won’t be able to set their hands on the operating system until August or September of this year. However, the release points the Macintosh in some tantalizing new directions, including far deeper integration with Apple’s iCloud platform, more technologies borrowed and adapted from iOS, new sharing capabilities, improved security, and a focus on China. Mac OS X 10.8 Mountain Lion won’t be a major sea change for Mac OS in the way the transition from 10.6 (Snow Leopard) to 10.7 (Lion) was: Apple isn’t dropping any fundamental technologies (like Rosetta) that could put existing Lion users between a rock and a hard place when it comes time to make upgrade decisions. Instead, Mountain Lion represents an evolution of the groundwork Apple began in Mac OS 10.7: Take technologies pioneered in iOS (particularly on the iPad) and bring them back to the Macintosh. Mountain Lion also represents Apple’s next step in integrating iCloud services into its entire product line. While most companies have focused on offering cloud services as an adjunct or add-on to traditional computing setups, Apple has flipped the idea on its head. In the Apple product ecosystem, iCloud is the center of the universe, and individual devices — whether iPhones, iPads, or Macs — are just different types of clients that interact with iCloud to handle media, messaging, calendars, reminders, and more. As a result, much of what’s new in Mac OS X Mountain Lion will be about making Macs more useful in the always-connected, mobile world of iOS devices — and, a bit secondarily, making Macs more useful in their own right. Borrowing a page from iOS 5, Mountain Lion will sport direct integration with Twitter. Mountain Lion users will be able to tweet directly from within applications, without having to launch or manage a separate Twitter client. (To be sure, Twitter clients will still be available for Mountain Lion; from the looks of things, most will look to operate alongside Mountain Lion’s direct Twitter support.) Many of Apple’s own applications (like Safari, iPhoto, and Photo Booth) will get a new Tweet Sheet that enables users to create tweets and share images right within the app. Users will also be able to automatically add location information, if they like. Third-party applications written or updated for Mountain Lion will also offer built-in tweeting capabilities. The Tweet Sheet leads right to another Mountain Lion feature: Share Sheets. Mountain Lion-savvy applications (of course, including things like Safari, Mail, iPhoto, Reminders, and the new Messages) will be able to feature a Share menu with commands to send the current Web page, photo, message, or other item directly to sharing services or other applications. The idea is adapted from iOS’s method of moving content between applications without having to copy-and-paste: Users will be able to share documents, images, Web pages, videos, links, and other items with one move. Share sheets will be context-aware: A Share Sheet in the iPhoto, for instance, might enable users to immediate share an image via Flickr, and the Share Sheet for videos might show an option for Vimeo or YouTube. Sharing a Note will present options for Messages and Mail (but not, for instance, iPhoto), while sharing a document in the Finder might offer options to share with nearby devices using AirDrop. Share Sheets are intended to make it simpler for users to move content between applications; the mechanism might feel a little foreign to long-time Mac OS X users, but will be almost second-nature to iOS users. 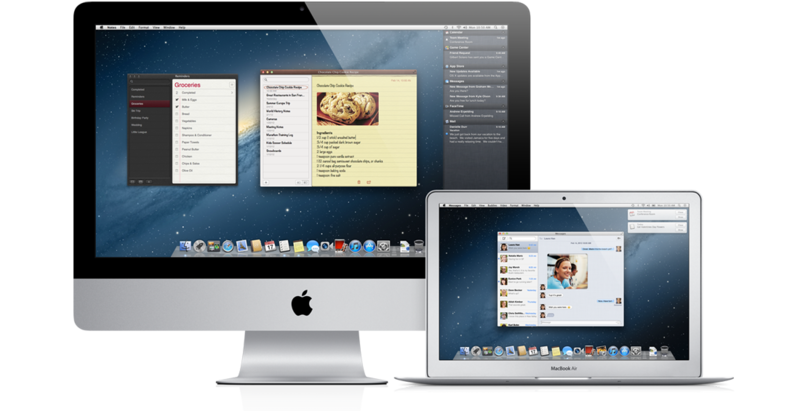 Mountain Lion gets rid of the little-loved iChat, replacing it with a new united Messages application that rolls FaceTime, screen sharing, instant messages, and iOS’s iMessage into a single, unified service. Messages’ integration with iMessage (and iCloud) means that users can start a conversation on their Mac and seamlessly switch over to their iPhone or iPad without losing a beat — so long as those devices run iOS 5. If someone sends a message to a user’s iMessage email address, it will appear on all their devices, whereas messages sent to a phone number will turn up only on a users’ phone. Messages supports group chat, enables users to send file attachments (up to 100MB, so that can include video), and rolls in support for Screen Sharing so Mac users can collaborate or help each other out. Like iMessage on iOS 5, iMessages are free: They’re delivered via the Internet so there are no text-message charges, and the connections are encrypted for improved security. IM fans will appreciate that Messages continues iChat’s support for AIM, Jabber, Google Talk, and Yahoo Messenger. Can’t wait? Folks who want to get started on Messages right now, a beta version is available now (for free!) 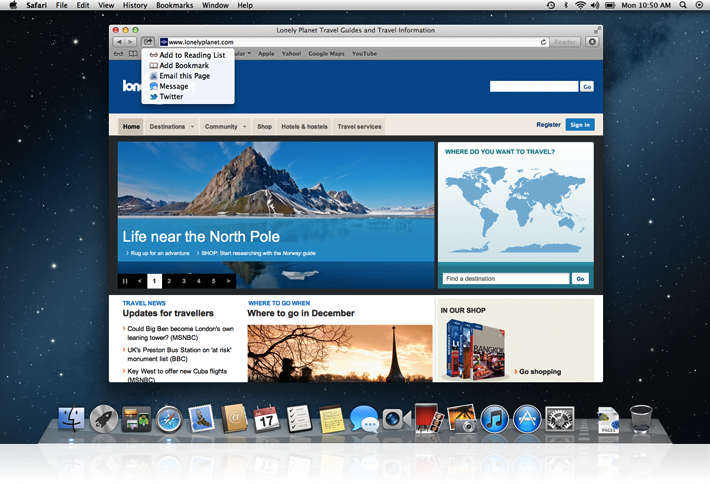 for Mac OS X Lion (10.7.3 or higher). Notes and Reminders are two iOS applications transitioning over to the Mac. Reminders is essentially the same service available in iOS 5, without the capability to set location-dependent reminders (such as remembering to pick up a prescription when you walk by the pharmacy). Similarly, the Mountain Lion version of Notes is much like iOS, enabling users to create short documents and have them automatically synced between devices via iCloud. The Mac version of Notes supports embedded images (they don’t yet display on iOS) and more advanced formatting. Share Sheets, Twitter integration, Messages, Notes… all these things and more tie in with a new Mountain Lion feature called Notification Center. It’s designed as a system-wide repository for notices, messages, updates, calendar items, and alerts sent by friends, services, applications, and more. Notifications typically appear as banners on the desktop and disappear in a few seconds so they don’t obscure what you’re doing — at least not for very long. Notification “alerts” hang around until they’re dismissed. A quick swipe gesture will move the Mountain Lion desktop to the left and shoot a very iOS-like column of notices that can include everything from incoming email messages and FaceTime requests to messages from the App Store and even pings from Game Center saying its time to make a move on a turn-based game with friends. Users will have a lot of control over what does (and doesn’t appear) in Notification Center. For instance, if you get as much email as I do the last thing you want to see desktop banners about is incoming email, so Notification Center can be configured to only show notification for mail from particular people (or perhaps none at all). Third-party developers will be able to build support for Notification Center into their apps. For some Mountain Lion users, Notification Center may turn out to be a replacement for popular add-on utilities like Growl—although, to be sure, Growl has features Notification Center currently lacks. The Mac has long lagged behind its PC brethren in the gaming universe—but iOS devices have turned out to be a significant force in the mobile gaming market. Mountain Lion aims to improve the Mac’s gaming story a bit by bringing over the iOS Game Center, including all its social features like global leaderboards, friend finding, notifications, and game discovery features. However, the coolest thing about Gaming Center is probably multiplayer gaming: If developers support it, Gaming Center can enable cross-platform multiplayer competition: Mac users could take on players on iPads, iPhones, and iPod touches, and even enable players to hop between devices — say, moving from their iPad to a desktop Mac in the middle of a game. Of course, Mac OS X game developers have to specifically support Game Center; that’s part of why Apple is getting this developer preview of Mountain Lion out half a year before it expects to release the operating system. For folks who have Apple’s little Apple TV “hobby” project, AirPlay Mirroring will enable users to stream a 720p high-definition video stream from their Macs to their Apple TV for display on their big-screen HDTV — no cables required. AirPlay Mirroring isn”t just about pushing video content from a Mac to a television, however: It makes the HDTV a fully mirrored version of the Mac’s display, so users can surf the Web, show presentations, and even play games on their big screen. Of course, not everything in Mountain Lion is about obvious new features or applications. Many of the most important things about the release will take place under the hood and (almost) out of sight of everyday Mac users. Perhaps the most important aspect of Mountain Lion is Apple”s deepening emphasis on iCloud. Going forward, it seems clear that Apple intends iCloud — not the iPhone, or the iPad, or the Mac — to be the center of its ecosystem. Mountain Lion significantly deepens the Mac’s integration with (and dependence upon) iCloud. For one thing, Apple is increasingly banking on iCloud as a central hub for all of a customer’s messaging, notifications, settings, and purchases. iCloud is the engine that synchronizes calendars, contacts, and email between Macs and mobile devices, and it’s the engine that drive’s Apple’s iMessage service. When users upgrade to Mountain Lion they will even find all their App Store purchases are there waiting for them. However, iCloud’s Documents in the Cloud gets significant new enhancements too: If a user edits a document using an iPad, changes to those documents are immediately reflected in the version available on the user’s Mac, even if that document is open and in use. (Thanks to built-in versioning and Time Machine, Mac users can easily cycle back through previous versions of the document.) Mountain Lion will also sport a new Document Library — not just a Documents folder in a user’s home folder — where users can quickly choose between traditional locally-stored documents and iCloud-savvy documents. Macs have historically been exempt from the hordes of malware that have assaulted Windows for the better part of two decades. However, the scare last year with the MacDefender malware highlighted the fact that Macs aren’t magically immune to malware, and prompted Apple to roll some bare-bones malware protection capabilities into Snow Leopard and Lion. In Mountain Lion, Apple is taking the idea to the next stage with GateKeeper. GateKeeper basically enables users to restrict the sources of downloaded applications they run on their Macs. In this sense, it’s an extension of the quarantine techniques Apple first introduced in Mac OS X 10.5 Leopard. 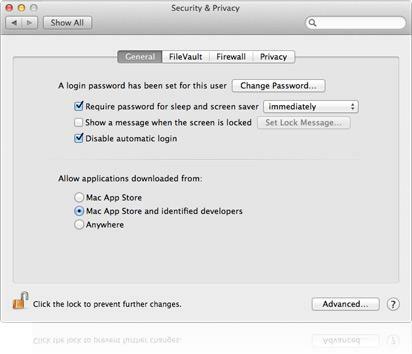 At the strictest setting, GateKeeper will only let Macs run apps download from Apple’s own Mac App Store. Users can also choose to run apps from both the App Store or obtained separately from developers who are verified members of the Apple Developer ID program — members have proven their identities to Apple, and can sign their apps with digital signatures verifying their authenticity. At the least restrictive, users can choose to run applications they download from any source, the way Macs work today. Users can temporarily override GateKeeper on a case-by-case basis as well. GateKeeper won’t be the end of malware possibilities on the Mac, but should help make Trojan horses and malicious software like MacDefender a thing of the past. Another unusual move for Apple in Mountain Lion: It’s not only introducing substantial improvements to Chinese input methods to make it easier to enter Chinese script, but including explicit support for popular Chinese online services. This includes simple things like making China’s Baidu a selectable search engine in Safari (alongside the likes of Google and Bing), but also building support for China-based services like QQ, 163, and 126 in to Contacts, Mail, and Calendar, and including specific support for video sharing services Youku and Tudou. And if you thought Apple’s built-in support for Twitter was a little unusual, guess what? In China, it’ll be Sina’s weibo. The moves undeniably make sense from a business perspective: China is the world’s largest single market for Internet and technology products, and Apple would be foolish to ignore it. On the other hand, deeper involvement with China (and integrated support for China-based Internet services) will undoubtedly complicate Apple’s already-murky position in China, especially as China and the United States continue to spar over human rights and Internet freedom issues. The most glaring omission from Mountain Lion so far is Siri, the highly publicized voice-based personal assistant Apple introduced with the iPhone 4S. Apple has not announced a version of Siri for Mac OS X Mountain Lion. In some ways this isn’t a surprise. Siri is designed as a technology to empower mobile users. Although iPhone users do have on-screen keyboards, typing search queries, making appointments, and scrolling through contacts via onscreen keyboards can be complicated and difficult. The speech recognition capabilities of Siri makes sense for mobile devices in ways they don’t make sense for notebook and desktop computers, all of which feature keyboards and sophisticated pointing devices, and aren’t limited to touch-based interfaces. That said, bringing Siri to the Mac isn’t a horsepower issue. Although code written for the ARM-based processor in the iPhone 4S doesn’t translate directly to the Intel processors in modern Macs, there’s no denying that even low-end Macs have more memory and processing power than the iPhone 4S. Macs can handle Siri. At a guess, Apple doesn’t want to just bring Siri to the Mac in order to say there’s a version of Siri for the Mac. If it’s going to bring the technology over, it needs to be more than a bullet point on a feature list and instead bring something to the Mac that makes the Mac better. At a guess, Apple might be working on that, and engineers have a bit of time before Mountain Lion ships. Who can get Mountain Lion? The Mountain Lion developer preview is available today to members of Apple’s developer program, which comes with a $99 annual enrollment fee. Paid-up developers will also get access to subsequent developer releases as Apple gets closer to a final release. Apple says Mountain Lion will be available to everyday users in “late summer 2012,” which is most likely marketing-speak for “September.” That would mean Mountain Lion lands basically a year after the release of Mac OS X 10.7, putting Apple back on a yearly update track for Mac OS X. Like Mac OS X 10.7 Lion, Mountain Lion will come pre-installed on new Macs once it’s shipped and will be available for download via the Mac App Store. Apple hasn’t announced any pricing for Mountain Lion, but it’s a good bet the company will stick with its $29.99-per-machine price level it set with Lion.